The Alexander School District was formally established in October 1884, in the village of Alexander in the Rural Municipality of Whitehead. The first schoolhouse was built in 1886 on the south side of the railway. The 18 by 26 foot structure cost $600. A few years later, growing student enrollment necessitated the construction of a second classroom. In 1892, a three-room school was built at this site, at a cost of $2,930. Ten years later, a two-storey brick building was erected on a design by Brandon architect W. H. Shillinglaw. 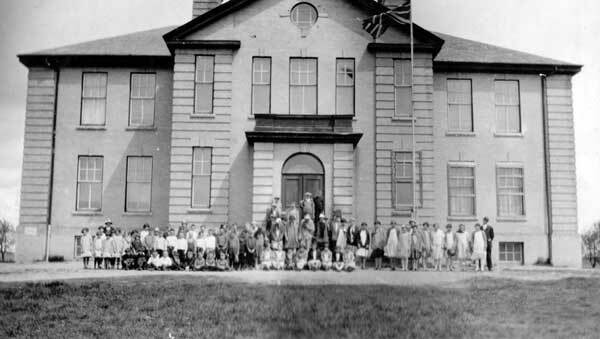 In 1945, Dalton School and Assiniboine School closed and their students came to Alexander School. In 1960, high school students were bused to Brandon, leaving only students in grades 1 to 8 at Alexander. In 1967, the Alexander School District became part of the Brandon School Division. 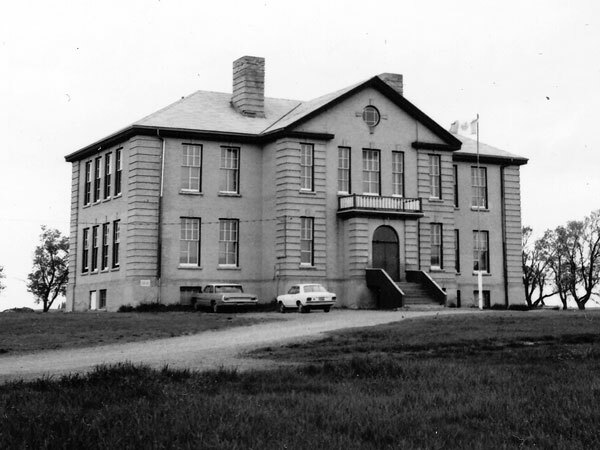 The two-storey school was demolished sometime in the 1980s. Among the other teachers of Alexander School were Miss Jessie Way (1886), Miss Margaret McBride (1880s), and Dorothy Mae Strath (1940s). Source: Archives of Manitoba, Architectural Survey, Alexander. “Alexander, Man”, Western Canada Fire Underwriters’ Association map, 19 August 1919, Archives of Manitoba. “Appointment,” Brandon Sun, 16 December 1970, page 5. “Forty years ago,” Brandon Sun, 16 December 2010, page 13.